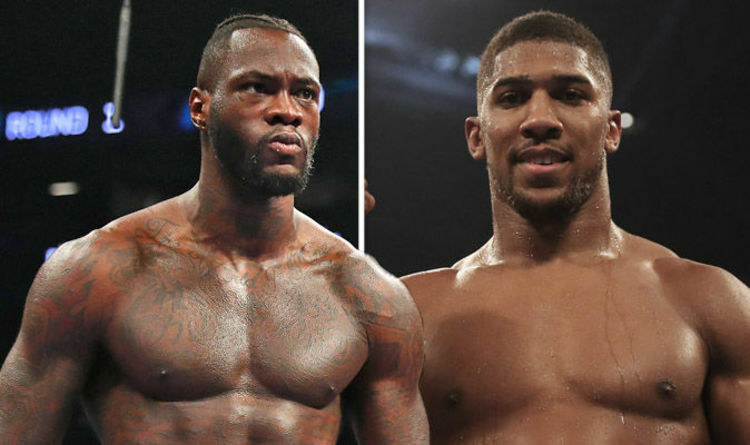 As FightNights.com previously reported, Matchroom Sport's Eddie Hearn, promoter of unified heavyweight world titleholder Anthony Joshua, is meeting with WBC titlist Deontay Wilder's representatives next week in New York to negotiate a deal for the undisputed heavyweight championship of the world. However, reports suggest that the negotiations will not run so smoothly. In an interview with BoxingScene.com Friday, Hearn said that the unbeaten Wilder (40-0, 39 KO's) does not deserve anything more than his previous offer of $12.5 million. "I saw reports that it's a $100 million dollar fight - no it's not. It can get there, if both guys are really built in America. I think the fight is really worth, conservatively... I know my numbers and it does around $40 million dollars or $50 million dollars in profit from the show. If we talk about generated, it's totally something different. You have pay-per-view companies who take splits of the pay-per-view, you have to pay for arenas, undercards, hotels, flights, doping, everything. Let's call it $40 million to be safe. The $12.5 is what 31 or 32% [of the 40 million], that's more than fair," Hearn told BoxingScene.com's Radio Rahim. "He doesn't deserve more than that in my opinion. And people say we gave Joseph Parker 33% - we didn't, and I don't know where that number came from. The offer to Deonay Wilder will be twice as much as what Joseph Parker made in the fight. Wilder has been offered five to six times his highest purse to fight Anthony Joshua. Anthony Joshua won't even make anywhere near double his highest purse. "I feel that we're getting penalized because somebody has done a sh*t job with Deontay Wilder. You have a guy who is making $2 to 2.5 million a fight and people are like 'he deserves $25 million.' Why? On what basis? He has no profile. He can't sell 10,000 tickets when he fights in a great fight in America. And we have a guy who is making all of this money, and can continue doing so, in risk-free fights. Now you're asking our guy to be in the biggest fight of his career for a little more. "People don't understand the simple economics and the reality of the situation. One guy is earning $2.5 million dollars, and the other is earning ten times as much. Joshua has overpaid his opponents. He overpaid Charles Martin, he overpaid Dillian Whyte, he overpaid Breazeale, he overpaid Takam, he overpaid Parker. We ain't doing it again. We're not going to overpay Deontay Wilder for this fight. "We want this fight, but does that mean that we're going to roll over and let you play with our balls while we give Deontay Wilder something he doesn't deserve - no." Sources close to Wilder also informed FightNights.com earlier this week that they are not sure if Hearn is serious about making the fight at this time. FightNights.com reported on April 10 that Wilder, a 2008 Olympic bronze medalist, was offered a flat fee of $12.5 million to face Joshua (21-0, 20 KO's), a 2012 Olympic gold medalist. However, sources with knowledge of the situation reporting exclusively to FightNights.com said Wilder's team rejected the "bogus" offer and had "nothing to say." Sources tell FightNights.com that undefeated world title contender Jarrell "Big Baby" Miller (20-0-1, 18 KO's) could land a shot with Joshua by the end of the year. Miller is ranked the No. 3 ranked contender by three different sanctioning bodies, including the WBA, IBF, and the WBO. Over his last three fights, Joshua has averaged around 82,000 tickets sold. His 12-round unanimous decision victory over former titlist Joseph Parker on March 31 had a live audience of 78,000. The attendance at Barclays Center on March 3 for Wilder's 10th-round knockout of Luis Ortiz was 14,069. If the bout makes $80 million (this is just an estimate), $12.5 million would equal roughly 15 percent of the pot. We also reported last week that Wilder's team was prepared to make a counteroffer, but it does not appear Hearn will budge. If a deal is struck, although very unlikely, Joshua and Wilder could settle their beef as early as September 15 at Wembley Stadium. Again, very unlikely. Purse bids are soon due for Joshua to face WBA "Regular" heavyweight champion Alexander Povetkin, who is coming off a brutal fifth-round knockout of David Price in March.